It’s been over a year since the last Gymkhana dropped for you lucky lot. This time Ken is back with a bit of help from his friends and and an all new 914-horsepower Ecoboost V6-powered Hoonitruck to boot. Gymkhana 10 showcases not one but five mental tyre shredding machines for your viewing pleasure in five locations across the globe. As usual, expect out of this world machines performing inch perfect drifts, slides and mental maneuvers with cinematography straight from a blockbuster movie. Rather then bore you the usual PR bulls*it, we’ll let the 19 minute video do the talking and STFU. Enjoy my fellow hoons! The Gymkhana GRiD World Finals are to be held in South Africa on 1st December 2018. In what promises to an epic concoughony of tyre smoke and insanely powerful cars the finals represent the pinnacle of car control above and beyond what we think is possible. 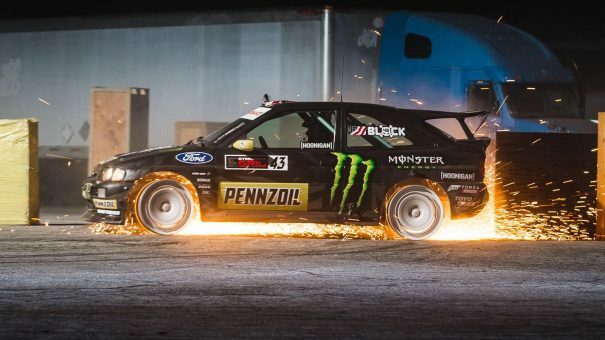 Hosted in at Carnival City Johannesburg, in South Africa, this years event promises to be the wildest yet with drivers such as Ken Block, Daigo Saito, and the nicest man in motorsport Mr Steve Baggsy Biagioni. Prices for the event start from just 250 Rand (£13 / €15 / $17) for standing tickets, giving you full access to open areas in the paddock. Grandstand and VIP packages are also available. Check out the Gymkhana website for more information and to secure your tickets for this epic event. You might class the Forza Horizon games as just another “arcade racer” however we think it’s one of the most enjoyable, fun and accessible racing games ever made. In fact, Forza Horizon 3 still commands top spot in our Xbox One X over the critically acclaimed Forza 7. So you can only imagine the squeals of joy from TN towers when we got wind that Microsoft has dropped the news that Forza Horizon will be with us before the end of the year. In a first for the franchise, FH4 will be set in the UK, namely Scotland. 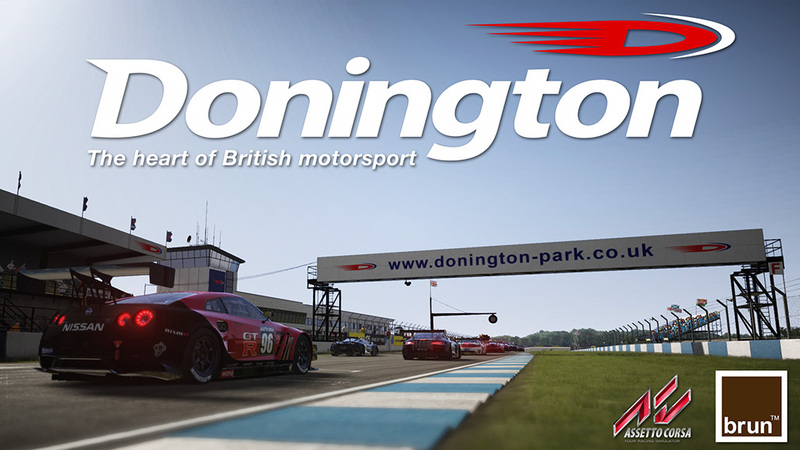 It will feature over 450 cars and an all-new open-ended campaign. New to Forza Horizon 4 will be dynamic seasons. This will dramatically change the driving dynamics, look and feel of the cars and the open world environment. These changes will affect everyone in the game, allowing even real players to feel the full force of the great Scotish weather. It’s been a long time since the last Horizon release so we’re more than ready for the next installment. Final countdown to the Silverstone Classic… gentlemen start your engines! Its just a matter of days until the Silverstone Classic, the worlds biggest classic motor racing festival. The event will host a mammoth 22-race programme including the battles from the FIA Masters Historic Formula One Race Series, FIA Masters Historic Sportscars and Super Touring Car Trophy. The races will feature in excess of 1,000 cars from more than eight decades of motor sport. Together with the track action, the event will feature over 10,000 classic vehicles on show from a wide range of car clubs and groups. We’ll be at the event this coming Saturday so keep your eyes peeled for all manner of live action on our social pages. If you bump into us please do say hello! 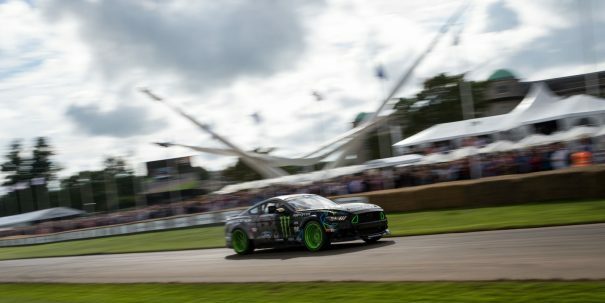 Thanks to the generosity of Monster Energy, Turbo-Nutters will be attending this year’s Goodwood Festival of Speed. The main attraction for us will be the World Premier of BattleDrift 2 which we have kindly been invited to. We’re not entirely sure what to expect but not doubt Monster Energy will be putting on a spectacular show. Check back later in the week for full coverage of the event! We’ll be live streaming on our YouTube channel so please be sure to check that out. 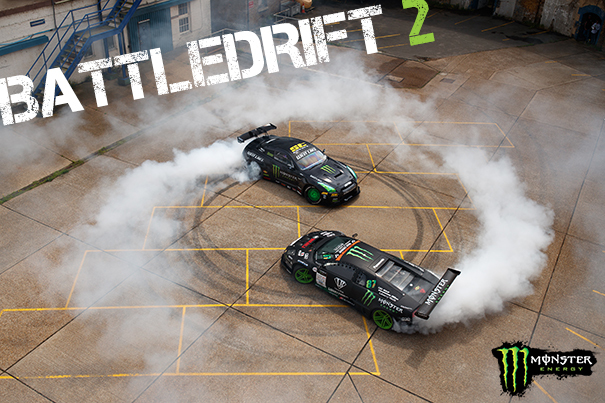 In the mean time check out the last installment from Monster – Battle Drift #1. 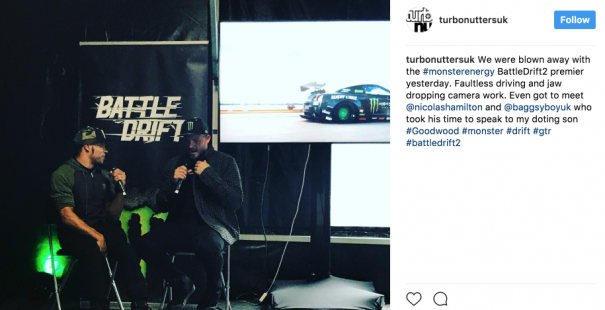 This first installment set in Niigata, Japan pits Vaughn Gittin Jr. in his 550 HP 5.0L V-8 Mustang RTR against Daigo Saito’s 650 HP V-12 Drift Lamborghini. The resulting video below is nothing short of amazing! The world’s biggest classic racing festival is set to celebrate the Ford Sierra RS500’s 30th birthday with two very special double-header races this year. The races will showcase the iconic RS500 against an array of high-tech Super Tourers and Group 1/A racing saloons in what promises to be be spectacular showdown. The event will feature a vast array of cars spanning some 25 years with the RS500 taking center stage. The races will include some iconic cars very close to my heart such as the Ford Capri and BMW M3 together with Super Touring cars from later years. We’re delighted to announce our latest Assetto Corsa server along side our hugely popular UK Nordschleife Porsche Trackday server! You can now race the infamous ” Nordschleife” circuit / toll road with NO CAR DLC required. We’ve for opted for the following cars from the Assetto Corsa standard lineup. You’ll need the Dream Pack for the track but like all other car packs for AC, they are worth it! We’ll keep an eye on the car slot usage but please do tweet / email us if you have any requests for car changes. You can tweet us on @TNuttersGaming or comment below. I like to think I’ve kinda got my finger on the pulse when it comes to gaming, especially when it involves four wheels and an engine. 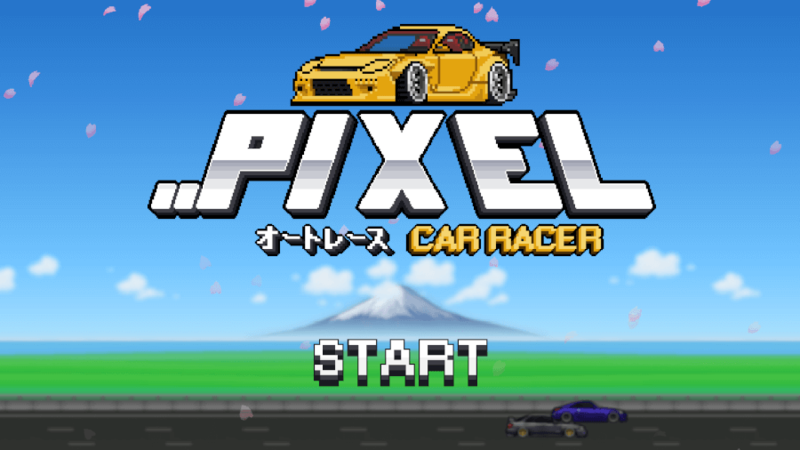 Therefore it came as a surprise when my 9 year old started bugging me try this new “pixel” car game. Originally I had dismissed this as yet another Pixel Gun, Roblox or minecrafty type spin off trying to capitalise on the type of 8-bit graphics I grew up with. Before I discuss the reasons for my love affair with this little game, I need to point something out. This game is still in development, its not Beta but there’s some holes. Some of the modes such as “Story Mode” and “Rivalry” are currently not available. This equates to about half the game modes but believe us when we say that really doesn’t matter at all. What is available is frikken’ amazing. 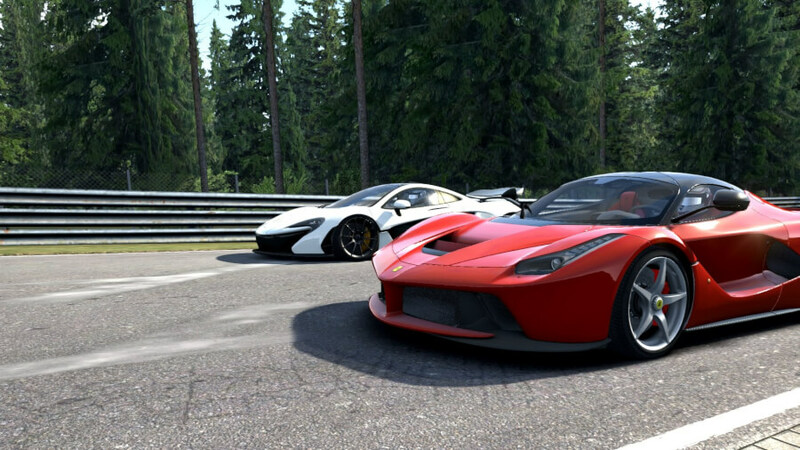 If you’re reading this article then you’ll probably be a newcomer to the world of Assetto Corsa modding. As easy as it is to just pickup the game and crack on with a lap or two of Spa, adding mods might not be as straight forward as you’d hope. That’s why we’ve put together some frequently asked questions to help you along the way to becoming an Assetto Corsa modding god! Where do I download Mods? Unfortunately the internet is full of crooks looking to hijack your PC and steal your data. Please do stick to reputable website for downloading mods and always check the files for viruses and malware. If you don’t have any antivirus protection use the basic version of avast! and check your PC regularly with MalwareBytes. We suggest that you stick to the Race Department website for all your mod downloads. They have all the mods sorted by type Career, Sounds, Apps, Cars, Tracks, Misc and Skins. Be sure to read the comments and mod notes before downloading.